Established in 1977 by people for the people. It has gone though many changes since then. Most notably from four areas of bowling to three. Renovations as in extensions, a kitchen, undercover bowling area, etc. All making it an ideal club for the community that governs and manages several areas of entertainment. Our primary objective is to provide bowls activities as both social and competitive events. These take place as regular social matches, men’s and ladies or pennant in the district competition, or Club Championship events. The clubhouse bar is open for social drinks most days. Every Friday evening weekly raffles and the weekly chase the ace draw are held. Bistro style meals are available on Wednesdays and Fridays between 5:30 and 8:00pm. A menu with a variety of mains and desserts allows your choice of quality meals as well as a weekly special. Kids menu is also available. The club has three outdoor greens, two grass and one synthetic. The synthetic surfaced green is in front of our clubhouse and is also equipped with lighting to allow play in all seasons both day and night as other greens but has a roof architecturally designed to prevent any wind or rain from disturbing your bowling technique. It is like indoor bowls but on a large scale. The two lawn greens have sun shading and seats. Our large clubhouse or function room is capable of seating many members, players or guests. A commercial quality kitchen is used by our members and our in-house caterer for club event meals, regular Wednesday and Friday night dinners or food at various functions. Refreshments are available at reasonable prices from our well stocked bar. Gas BBQ’s are available. Not to forget there is also a Beer Garden. The Innaloo Sportsman’s club actively encourages new bowlers, and free coaching with one of our bowlers can be arranged at a mutually convenient time. To download a copy of the Club Member’s Application Form, please click here… ISC Membership Application Form. Contact the Front Office – (08) 9445 1550 for more information. Regular bowling days – all year round. Players require neat casual dress and flat soled shoes. Bowls can be provided if you do not have your own. We also cater for groups of Corporate, Social or Bare Foot Bowlers, throughout the year. Functions using the restaurant and bar facilities at the club are welcome in conjunction with bowls. Bowls is a great way for your company to enjoy their end of year celebrations. 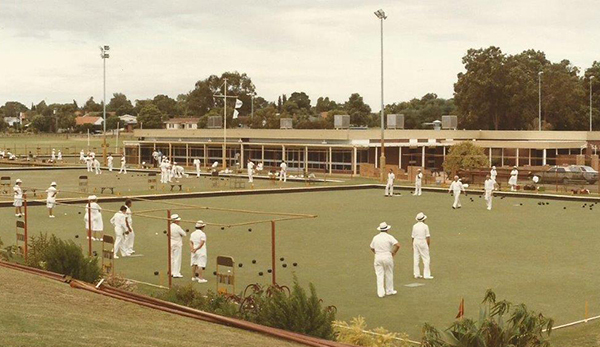 Club Championships are conducted throughout the year to fit in with the Bowls program. An Innaloo Club uniform is required for those competing in Championship Events. Teams in Men’s and Women’s Pennants events are run by Bowls WA. Pennant players are required to wear an Innaloo Club uniform. Two pool tables exist for the casual player as well as the odd demonstration match and some tournaments throughout the year. There are two courts which can be hired out and are available during the week, on weekends and at night. There are three dart boards for your use. We are affiliated with Futsal for those up for a challenge. The green that was not required was transformed into a professional playing area for this sport. TAB touch available to bet on races in a variety of areas from the dogs to horses and anywhere in Australia or around the world. Live sports played every day. A jukebox for the musically minded but please consider others and the appropriate times.